The National Obesity Forum is clearly just trying grab media attention as their website looks to be lagging in visitors and relevant updates for the past year. If, by now, you haven’t figured out that calories are the single most important factor in managing weight and thus obesity and type 2 diabetes then here is a reminder. Calorie restriction: without it you will not lose weight no matter how perfect your food choices. Protein intake: you die without reaching the RDA. If you work out, are stressed in any way then increase it by a factor of two to three times depending on your stress levels (both physical and mental). Fat intake is important. You die without fat in your diet. Fat soluble vitamins A D E & K lead to bad things when deficiency occurs such as sterility, blindness, rickets etc. Fat is good. Carbohydrates are a great source of energy. That is all. 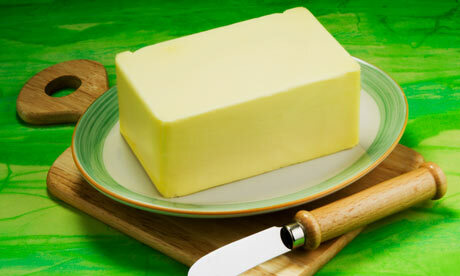 Fat is your stored energy supply. If you have too much stored fat (you are over weight) then you really don’t need to ingest more energy in the form of carbs. Now I am not a low carb Zealot but I am a fan of logical choices and self control. A genuine lack of education. Some people really don’t know that calories are the most important element. This post sorts that one: you cannot build or shrink a house without adding or removing bricks. You cannot increase the size of a human without adding calories and vice versa. Simple. A complete lack of self control, which can come about through various reasons from self esteem issues to not giving a hoot about how over fat you may become. The education side needs to come at a very young age, from parents, schools and government. The self control is so much broader and comes from all elements of a persons life. Self control in one area will bolster self control in others which is why an exercise regime that is adhered to will bolster the resolve needed to stick to a weight loss diet. Practice self control in one area of your life and it will help you in others. We have become a culture of “have now” “want now” “deserve now” rather than “do I need” “should I ” and “have I earned it” and we have somehow come to actually believe that eating what we want, as often as we want will not adversely alter our bodies. NUTS. Three meals a day consisting of a protein source (most animal sources will contain enough fat to suit our health needs), vegetables (think colourful and cruciferous, not white potatoes) and limited amounts of wholegrain carbohydrates. A favourite meal of mine is rare steak, a head of broccoli, carrots and maybe some sweet potato. Snacking is not physically needed by most people. Exercise self control. Drink a litre of liquid between breakfast and lunch and again between lunch and dinner….and after dinner too if you need to. If you must snack, have a piece of fruit. Not a bowl full of fruit salad or an entire punnet of cherries. Be smart and if you are not sure…work out about 100 calories worth (most single pieces of fruit like an orange/banana/pear are less than 100 calories). Do this no more than twice per day. If you can’t be bothered to work out 100 calories worth of fruit then quite frankly, you’re screwed. Effort will always be required on your part, even with the best Personal Trainer there is. Google is your friend. Many people will succeed with this recipe without counting calories (don’t mistake that for meaning they don’t count) as the change in foods toward healthy and away from crap usually sees a drop in calorie intake, but many overweight people have a very warped sense of how much food to eat and will still not lose weight on the above advice. If you are this type of person and eating good foods alone doesn’t work then you simply count the calories you consume whilst adhering to the above guidelines. It is simple but not always easy. Stop avoiding pain and looking for the easy way. Embrace, no, seek out the pain and enjoy the character it will build.